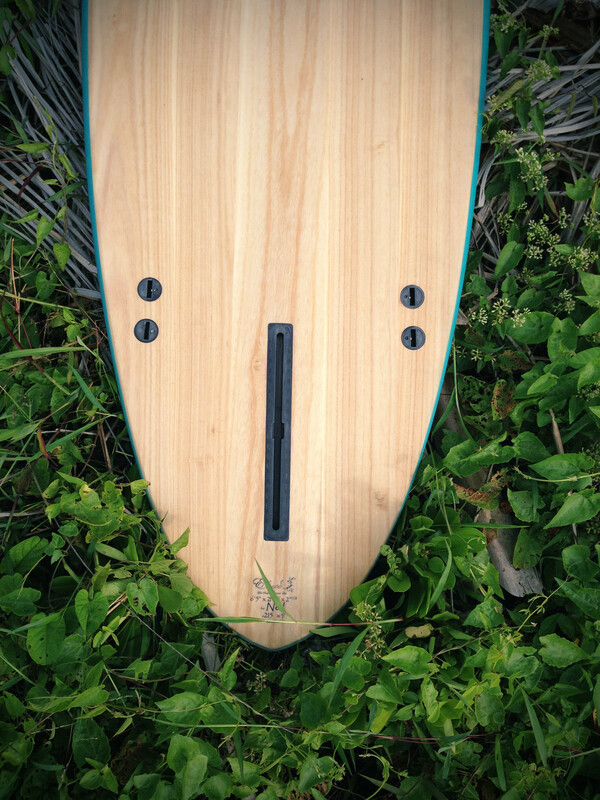 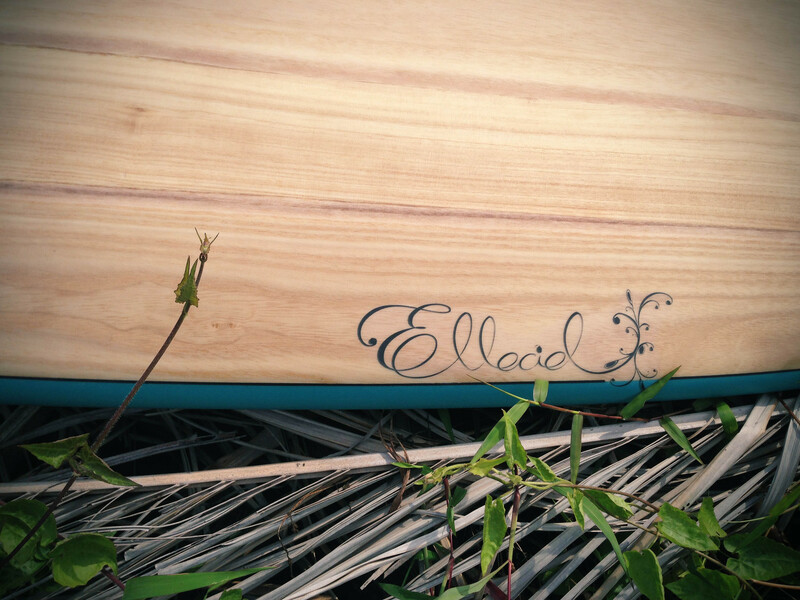 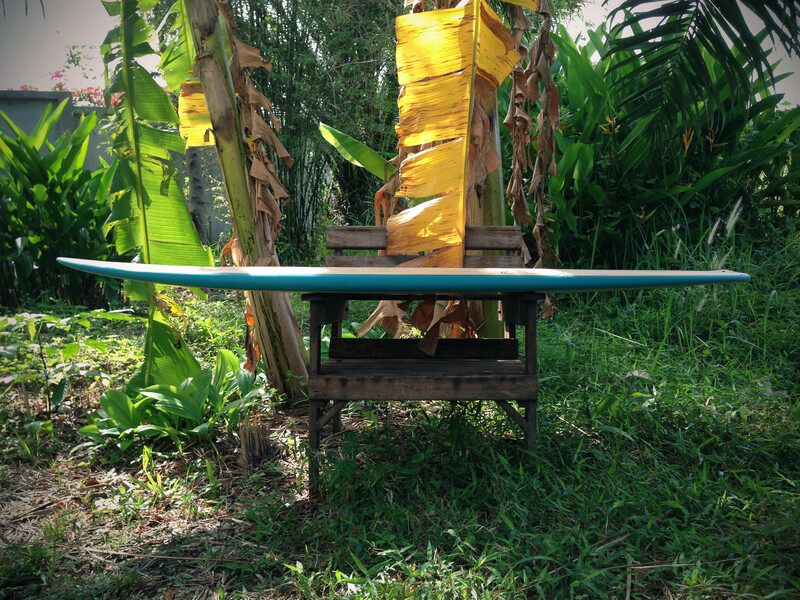 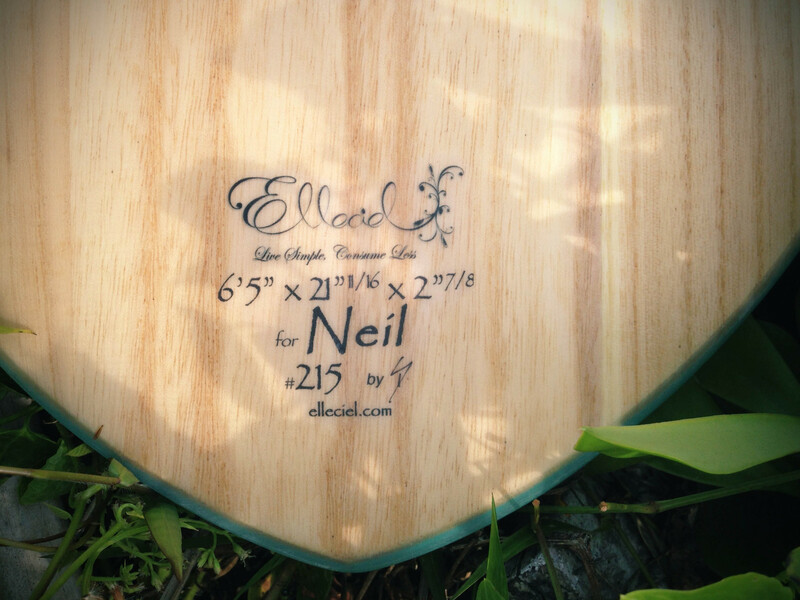 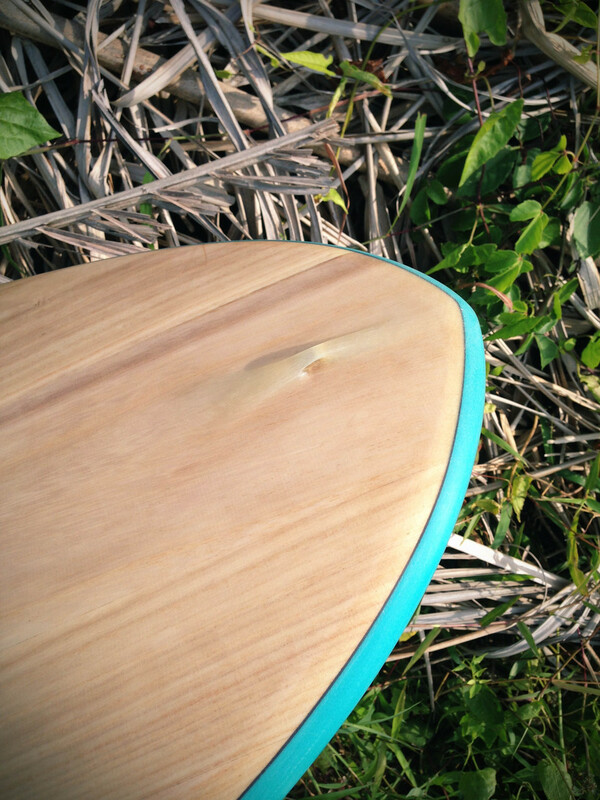 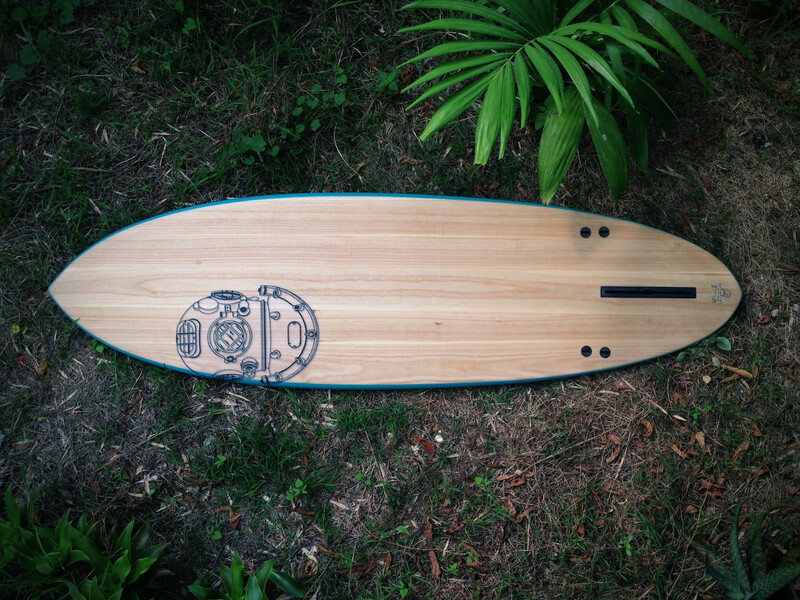 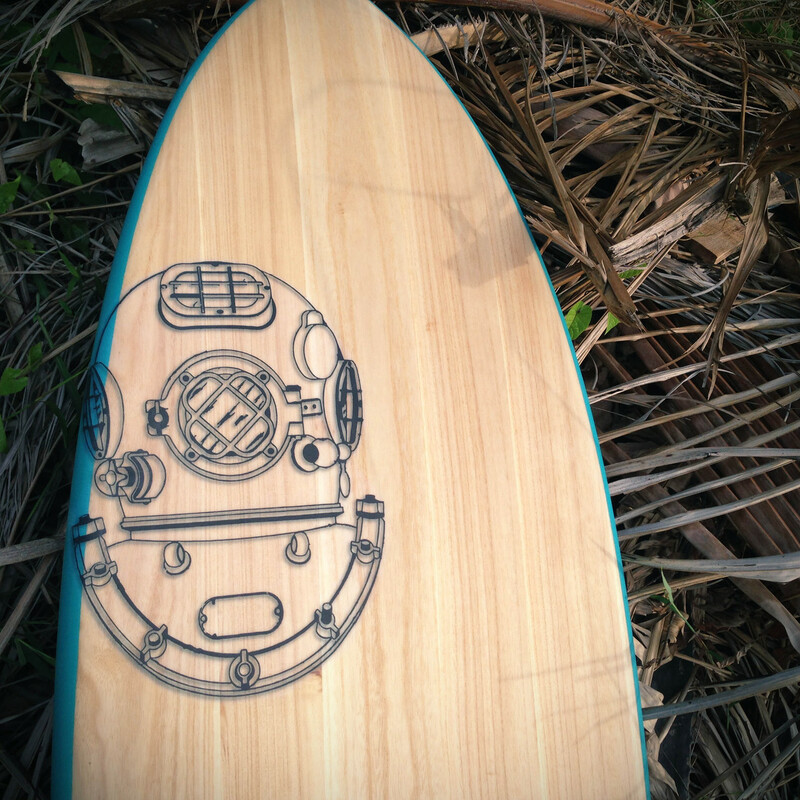 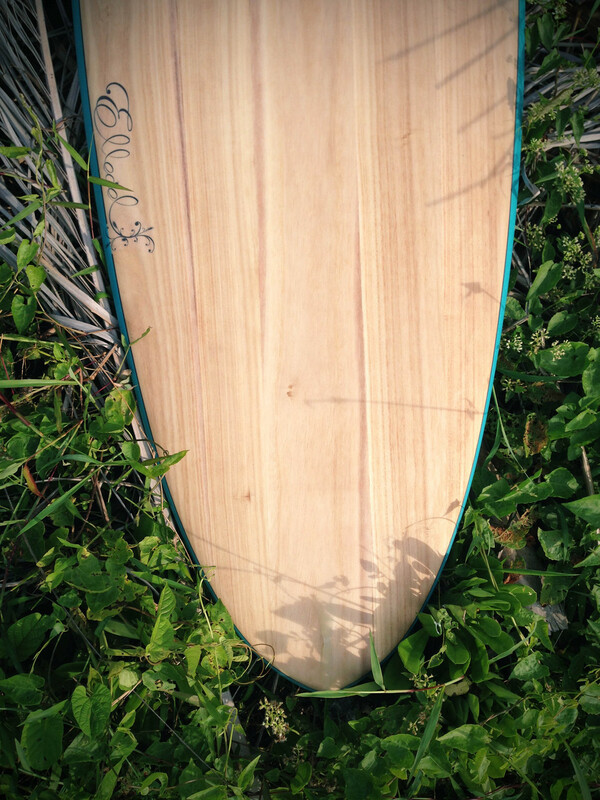 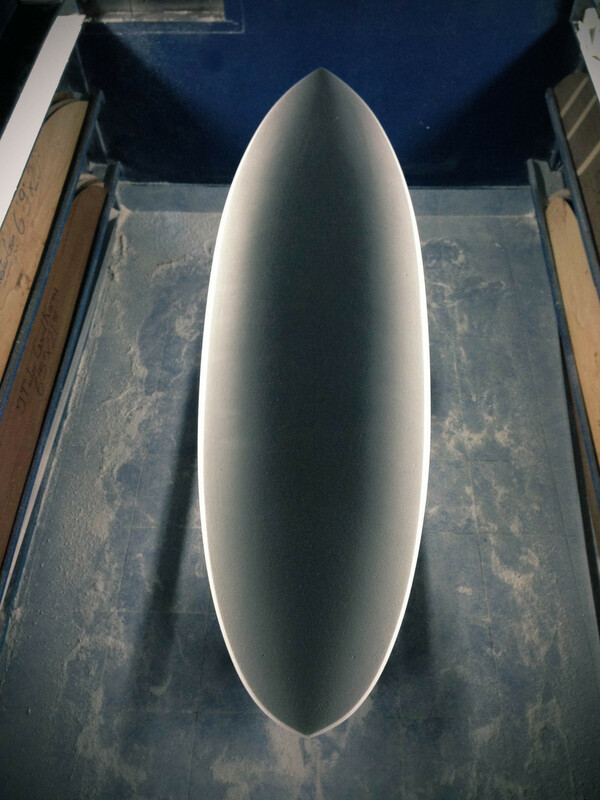 Here is Neil's new board, a project to get Neil back in the surf launched by our common friend Juan. 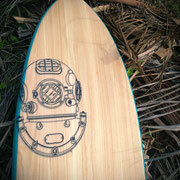 We decided to go for something a bit old school but with a modern twist to it. 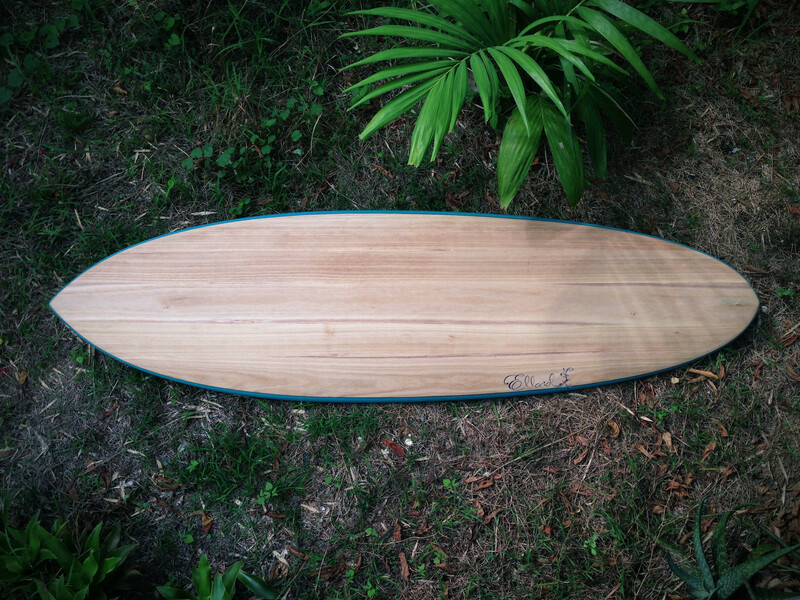 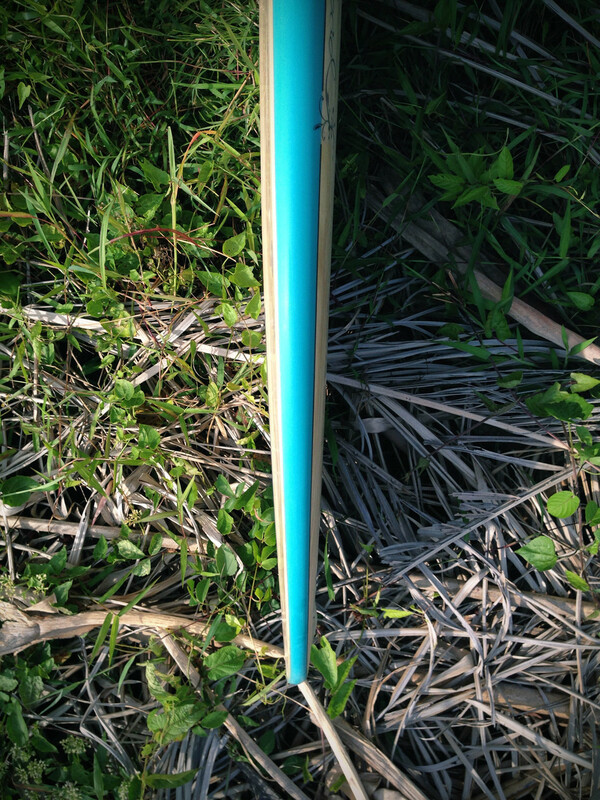 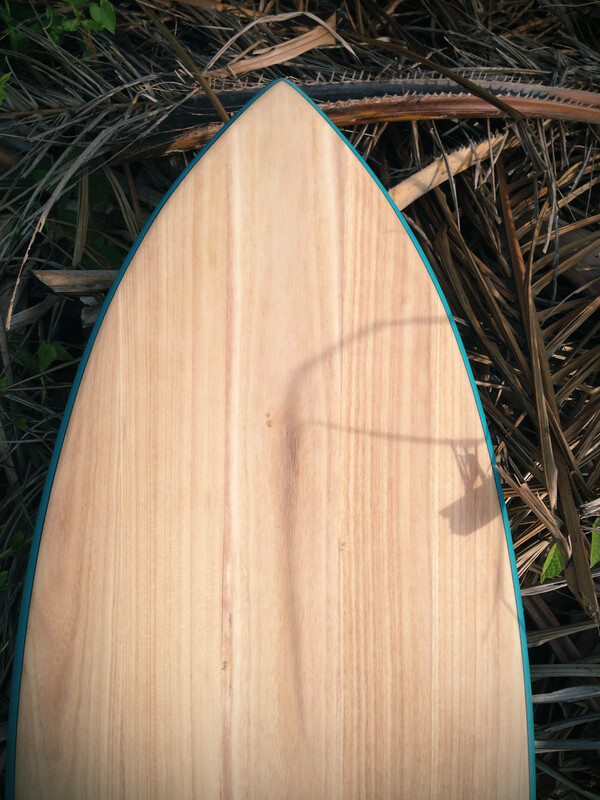 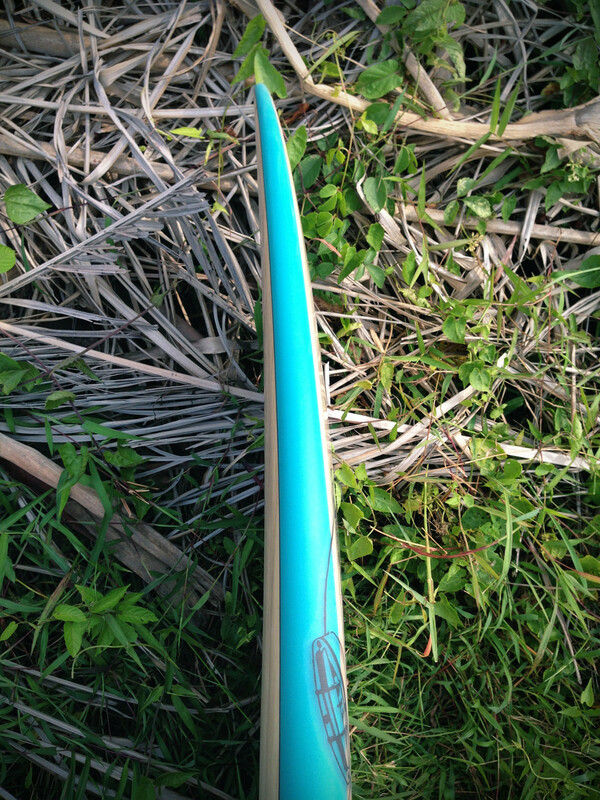 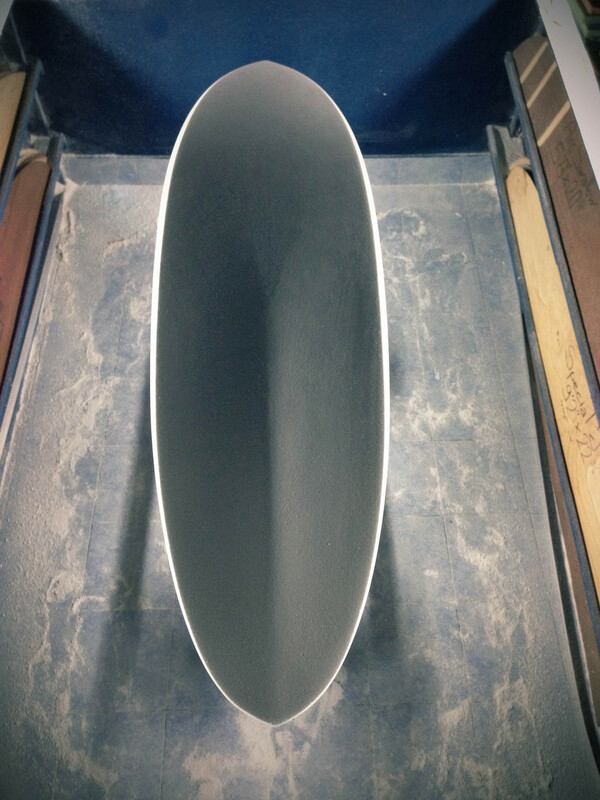 Made to surf waves in Florida this 6'5" has a strong V double concave, 1+2 fins setup, paulownia wood on both sides and a big MK-V diving helmet.